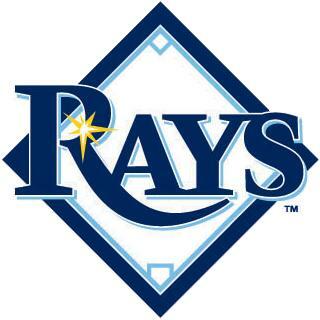 The Rays narrowed their roster by five more positions on Sunday afternoon following the game against the Red Sox. The Rays sent the following players to minor league camp. The biggest surprise of this group to me was Vogt. He has lead the Rays in hitting this spring and has been a consistent part of the offense since returning from surgery in 2010. Are you sure it is Gomes and not Guyer? Gomes is not mentioned either on "The Heater" or in today's Tampa Bay Times, but Guyer is in both. Vogt was sent down? Disappointed to hear that. Thought he should have been given a chance. He'll be back. Vogt was sent down because he doesn't have enough experience behind the plate. Doesn't matter how well he hit. We need someone to fill up the other 80 or so games Molina can't play. Yesterday an interesting "minor league" day, with Longo, Zo, BJ & Keppinger playing on one field and Pena, Scott & Molina on the other. ML guys got to bat first every inning, so they ended up extending the "regular" part of the game to get some of the younger guys more AB. Cobb & Colome both looked good, and Barnese looked great and then just ran out of gas. Ashley had triples in consecutive AB, and Lee had a double in what action I saw. Taken quite a few of the requested picture, they'll be over at Rays Country hopefully soon. Fwiw- Longo & Pena has hr, nearly all of them drew at least one walk, and BJ looked as if he is going to be ok after the collision with Jennings last week. Nick schwaner was released this morning. Relief Pitcher Joel Peralta also pitched on the same field as Cobb. On the same field, Ex-TB Ray-Matt Spring caught for the Red Sox. Sorry to hear about Nck's release. Were there any more releases today?